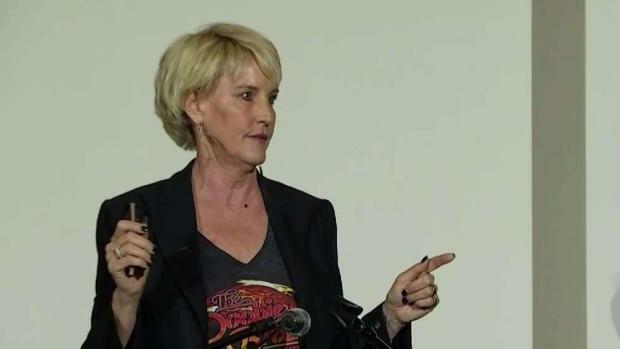 High-profile consumer advocate Erin Brockovich spoke with Santa Rosa families Tuesday after joining an effort to hold PG&E accountable for damages caused by the North Bay wildfires. Brockovich has the star power and the experience suing PG&E and winning. Now, she will take on the utility again after Cal Fire said PG&E equipment is to blame for starting many of the fires, and hundreds of victims have filed lawsuits. Law firms Maura Archer and Associates as well as Watts Guerra are working with Brockovich, and North Bay attorneys representing hundreds of fire victims say her insight will help their efforts to hold the utility company accountable. "The loss of life, homes and businesses in these extraordinary wildfires is simply heartbreaking, and we remain focused on these communities that we live and work in recover and rebuild," PG&E said in a statement. High-profile consumer advocate Erin Brockovich spoke with Santa Rosa families Tuesday after joining an effort to hold PG&E accountable for damages caused by the North Bay wildfires. Jean Elle reports. Forty-four people died and thousands of homes were burned in the North Bay last October.